Each year, particularly during the winter months, millions of Americans are infected with influenza. The flu causes symptoms such as fever, coughing, body aches and fatigue, and, in some cases, can lead to serious complications and even death. Arnold Monto, professor of epidemiology and global health at the University of Michigan School of Public Health, has studied the spread of the flu virus and the effectiveness of vaccines and antiviral medications for more than five decades. His research group is one of six teams across the country that partner with the Centers for Disease Control and Prevention to monitor the effectiveness of the flu vaccine and help inform which strains are included in the vaccine each year. Q: In addition to getting the flu vaccine, what else can people do to protect themselves and their families this flu season? Monto: After getting the flu shot, washing your hands frequently is one of the best things you can do to avoid getting the flu. It’s also helpful to avoid touching your eyes, nose and mouth. When possible, avoid contact with people who have the flu or any type of respiratory infection. If you do get the flu, help protect others: stay home from work, school or other activities to avoid spreading the virus. Maintaining healthy habits, like getting enough sleep, exercising regularly, eating a healthy diet and drinking enough water, can also help you stay healthy this flu season. Q: If you do get the flu this season, is there anything you can do to help reduce the symptoms? Monto: Antiviral medications are generally underutilized but are very effective in treating flu symptoms. Tamiflu, or oseltamivir, which is available with a prescription from your doctor and is taken daily for five days, can shorten the duration of your illness and prevent complications. However, antivirals work best if you take them when you first start seeing symptoms. You shouldn’t wait until you are already very sick from the flu. There is also a new antiviral on the market called baloxavir, which you only have to take once. It has roughly the same level of effectiveness as Tamiflu, but it also seems to reduce shedding of the virus, or the amount of virus you put out that can infect other people. We still need to do more research to determine if it’s actually helping prevent transmission of the flu from one person to another. It’s also important to remember that the flu vaccine typically helps shorten the duration and reduce the severity of your symptoms even if you do get the flu—which is another great reason to get your flu shot each year. Q: Last year’s flu vaccine was about 40-percent effective, according to the CDC. 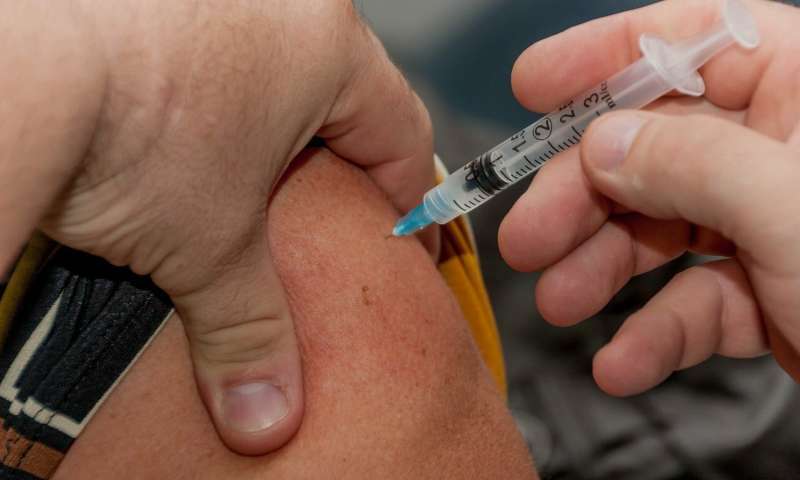 Do you have a sense of how effective this year’s flu vaccine will be? Monto: In order to understand vaccine effectiveness, it’s helpful to understand the influenza virus. There are two different types of influenza that circulate—type A and type B—and within each type there are a couple different variants. Currently, we have four strains represented in our flu vaccine, two type As and two type Bs. We know that one of the type A viruses, A(H3N2), causes the most severe flu symptoms. Unfortunately, the vaccine is least effective in preventing this strain. That’s the strain that was circulating widely last year, when we had a really bad year for flu. It’s impossible to predict, but we don’t think last year’s flu season is going to repeat itself. This year, we think we’ll see more of the type of flu that the vaccine works better against. So, we’re hoping for a better year than last year and one in which the vaccine will be about 50-to-60-percent effective. Q: If the flu vaccine isn’t 100-percent effective, should people still get it? Monto: When deciding whether to get the flu vaccine, it’s important to consider the potential consequences of getting the flu. While the flu sometimes causes only mild symptoms, it is very different from the common cold. The flu can make you sick and cause you to stay in bed for a couple days, but it can also cause complications that lead to hospitalization and even death. Getting the flu also means you can transmit it to family members, friends and colleagues who might be at higher risk for complications. The vaccine won’t prevent 100 percent of flu cases, but it can significantly decrease your chances of getting the flu—by as much as 30, 40, 50 percent or more. It’s also important to consider that the flu vaccine has been shown to be one of the safest vaccines available. So the benefits of receiving the shot far outweigh the risk. Q: How do you and your team measure how well the vaccine is protecting people against the flu in a given year? Monto: We measure the effectiveness of the flu vaccine by looking at three different populations in Southeast Michigan. First, we partner with hospitals in the area to figure out how well the vaccine is preventing hospitalizations for people infected with the flu virus. 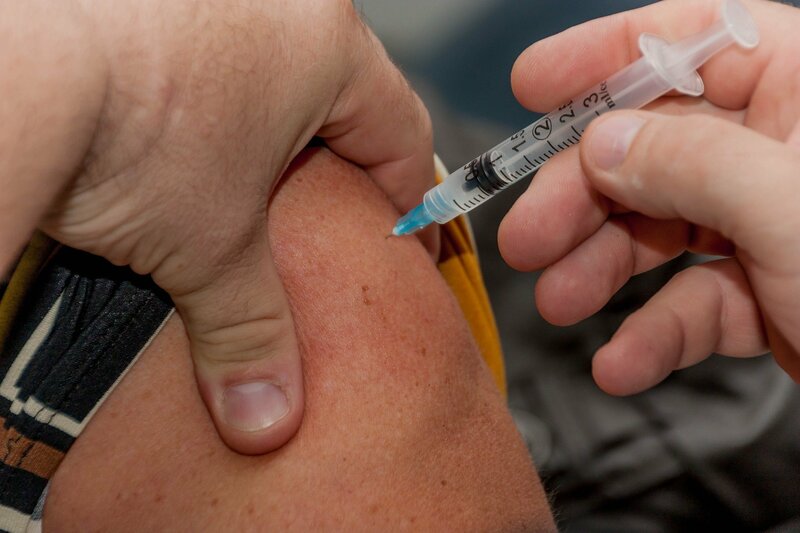 We also work with outpatient departments within the Henry Ford and University of Michigan health systems to figure out what the vaccine does to prevent people from going to the doctor to treat their flu symptoms. Finally, we do a household study that allows us to look at milder cases of the flu as well. We stay in touch with people in these households all year long. When they get sick, we test them for the flu and find out whether or not they received a vaccine. This also gives us the opportunity to see how the flu spreads within a household.